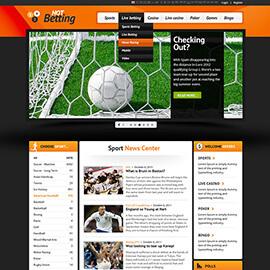 This template can be a powerful tool for all web masters who are about to create a website about sports betting. Also, can be used for web portals about sport. Usually, we make websites that should last forever! There are also websites that are online only for a period of time. 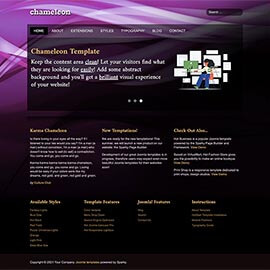 Web developers often need to create a site that doesn't have too much content, too much text or images. The content they got from client was short, but with clear messages. So, let's keep the content area clean! By adding an abstract background to the design, we will get a brilliant visual experience of the website we are developing. 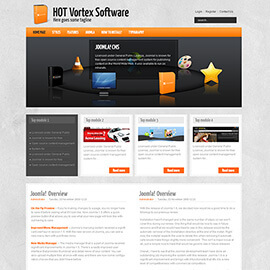 This month's release is actually a collision of Hot Vortex - corporate business template which demo shows its usage for a company that sells software, Hot Spinner - our Joomla module rotates images around a 3D circle. Together, they work as a team. It won't be easy to adopt Hot Spinner with any design... On the other hand, Hot Vortex template without the Hot Spinner module is not so... so... You name it! Our third release for popular e-commerce component VirtueMart. This time, the theme is Joomla fashion template. Therefore, we "tailored" the template with modern strong backgrounds, in the forms of denim, leather and blue textile. The start page is simple and reduced: it's main purpose is just to welcome your visitor/buyer. Hot Wellness' target themes are healthy life, medicine and alternative medicine, healthy food and lifestyle. 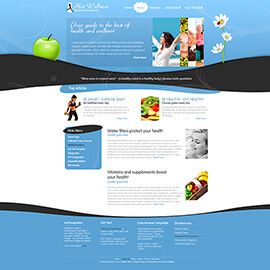 This template will be a great choice if you are about to create website that promotes a wellness center, massage studio, spa center, medical care center, or portal about healthy food and lifestyle. If you love curved design more than rigid horizontal and vertical straight lines and boxes, get Hot Wellness! Speed addicts, car lovers, Joomla fans... We got something "hot" for you! 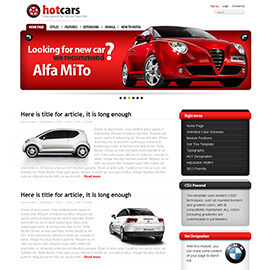 The Joomla cars template Hot Cars is as beautiful and as fast as your 4-wheels pet! Moreover, it can change color theme in a second and use one of our four predefined styles. Also, it can have custom colors of your preference. Many other tunings are available. No need to visit your car service! Guaranteed! What's important for a site that sells something? Of course, to put what you sell in a striking position. Not to be swamped with graphics, but to allow visitors quick and easy shopping. 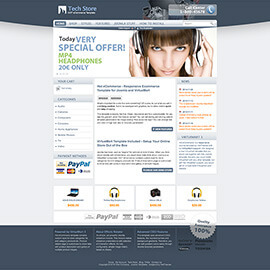 Joomla eCommerce template - Hot eCommerce is exactly like that. 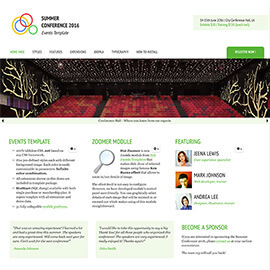 Clean, responsive and fully customizable. This is our very first template with support for the popular e-commerce component VirtueMart. Inside the template package, you will find VirtueMart template that you would use together with this Joomla template. 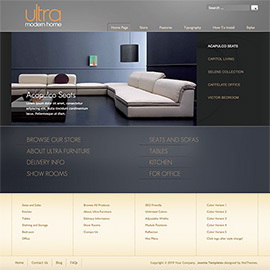 Full VirtueMart compatibility of the Hot Furniture Store creates an unique style throughout your e-store. 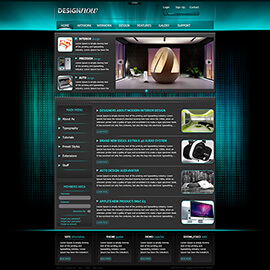 If you are about to create a Joomla portal related to any design area, we recommend Hot DesignNow! Can be used for any other purpose. The most important thing is that you like its Design! So, if you do, get it now! 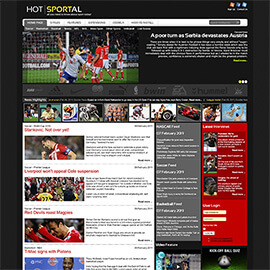 Hot Sportal template Joomla sports template, together with Joomla and several Joomla extensions from the template package, is a perfect combination for your sport news portal, or any other kind of Joomla news portal.